I pray you are well and encouraged as we continue on this Christian journey together. I am thankful that — whether there is calamity in Charlottesville, VA, joyful celebration of the work of WINGS in Lindbergh Park, or the devastation of natural disaster and devastation that we are seeing from the hurricane in Texas — that we are able journey together with prayerful confidence that God has and will draw things together for his purposes. A few things that I want to share. Hurricane Harvey/Prayers for Texas/Special Collection. 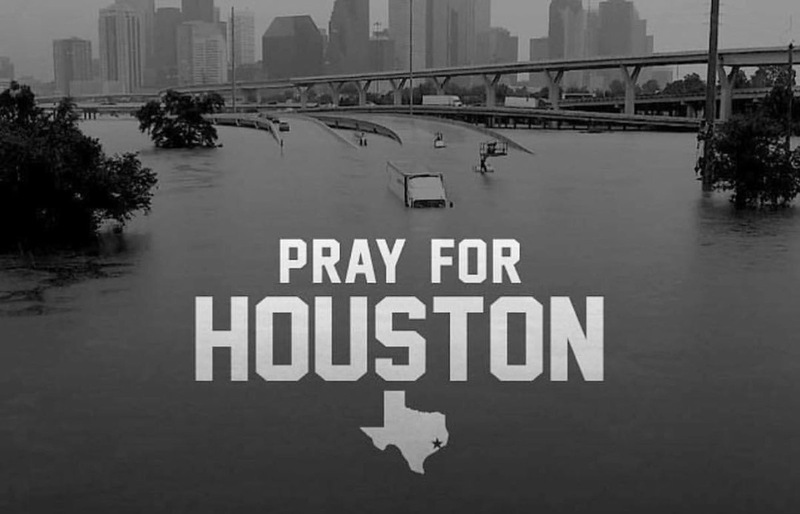 It was only two weeks ago that we were compelled to call for prayer in response to the tragedy fueled by hatred in Charlottesville, VA. Now, we continue in prayer for those in the path of Hurricane Harvey which has claimed 38 lives in the Houston area. We continue to pray for the presence of God’s grace and his mercy as the hurricane continues to devastate that region. We also know that God’s acts of mercy and grace are often extended through the hands and feet of his church. On Sunday, we will take up a special collection to support the rescue and recovery efforts that are taking place. We will be working with our partners American Baptist Home Missions (ABHM). You can also give directly here (ABHM Hurricane Relief). Additionally, there may be some of you who are interested in going down to support these efforts. If you are interested, please let me know and I will connect you with our community partners. More information to come . . .
WINGS/Jericho Walk. This evening (Thursday) at 6 pm, Progressive will sponsor a walk one time around Lindbergh Park as we pray for increased peace and decreased violence in our community. This is a continuation from Saturday’s WINGS Peace Rally and Picnic. I will join the walk and will open with prayer for the walk and the community and for those suffering in Texas. Please join us and support this effort. Youth Revival and Summit. Plan to participate in our Youth Revival and Summit next weekend (Thursday, Friday and Saturday). 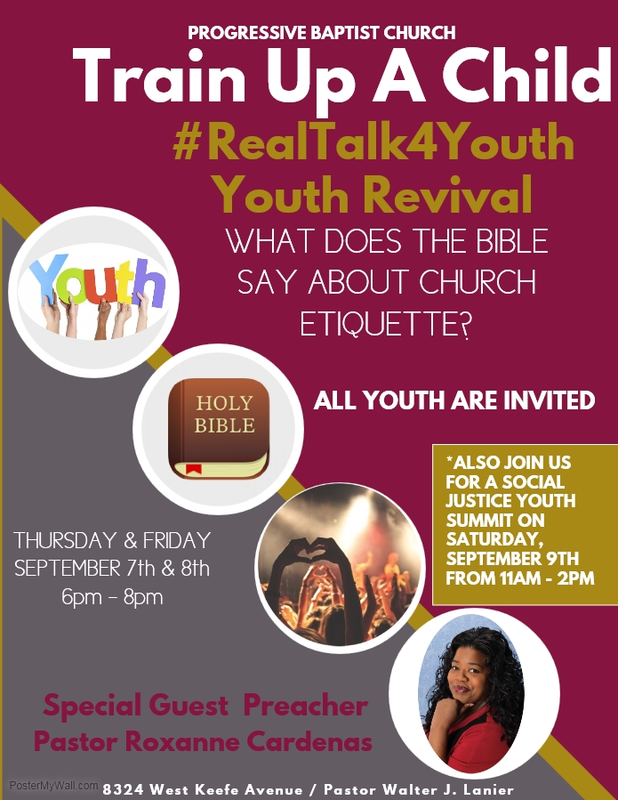 Youth will be going “back to the basics” in session led by Rev. Roxanne Cardenas on Thursday and Friday and then learning about social justice on Saturday. See the attached flyer for details.